When you play with fire – don’t cry if you get burned. When nurse Mary Tyler learned that she was being sent to Vienna, she was overjoyed. Cannister Memorial in New York had always seemed to her an exciting place. But all her life she had longed to see Europe. Besides, Franz Schneider, who also worked at Cannister Memorial, was to be one of the two doctors on the team. And Mary was secretly in love with him. Then in Vienna she met a young Hungarian baron who swept her off her feet. 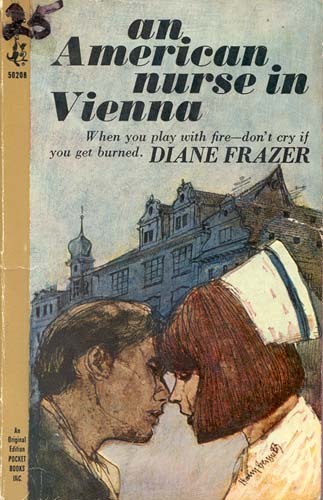 She had intended only to make Franz jealous. But soon she found that she was playing with fire.